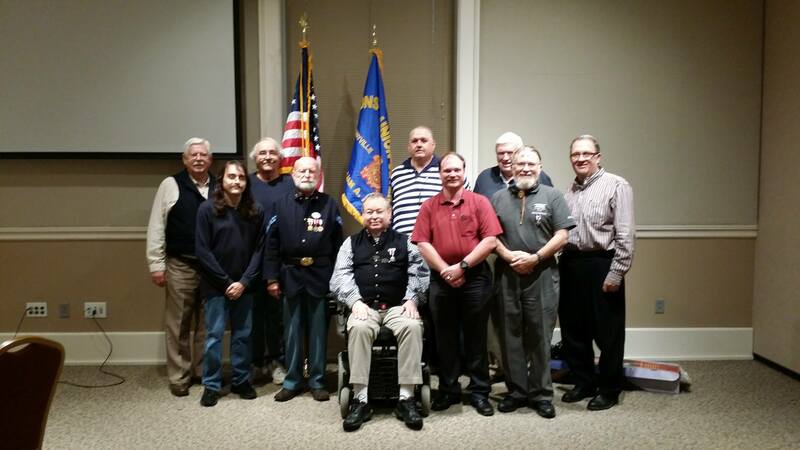 10 – 14 August 2016: 135th Annual Encampment of the Sons of Union Veterans of the Civil War. 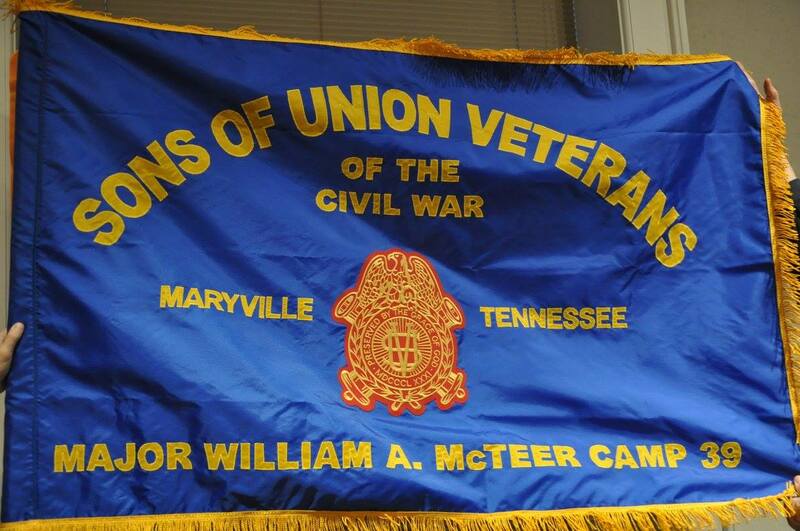 It was a great encampment for the Department of Tennessee and for the Major William A. McTeer Camp. Doug Fidler was named Most Outstanding Member, the Sultana Camp No. 1 newsletter was named the Most Outstanding newsletter, the Department earned the U.S. Grant Cup for the greatest percentage increase in membership, and the new Ensign John Davis Camp in London was named the Most Outstanding new camp. 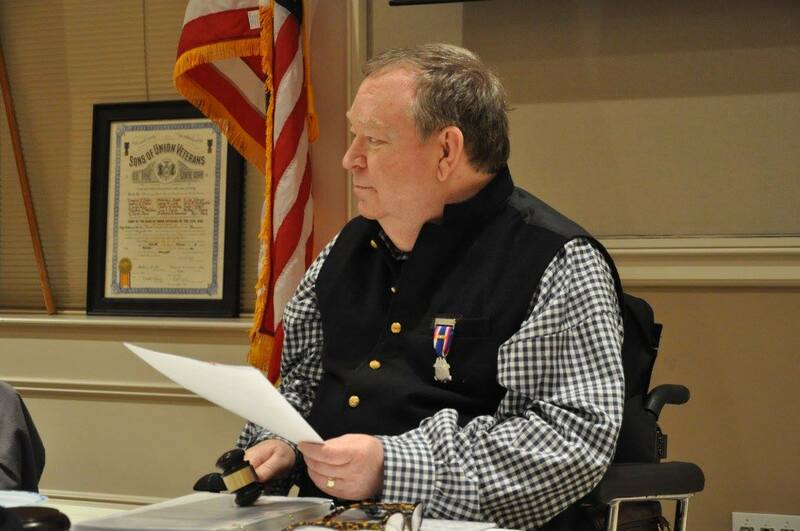 And CC David McReynolds was elected to a three year term as National Treasurer of the SUVCW. 9 August 2016: Camp Mess at Calhoun’s on the Creek Restaurant in Maryville, TN. 24 July 2016: Readmission Day 2016 at Old Gray Cemetery at Knoxville, TN. Celebrating the 150th anniversary of Tennessee’s readmission to the Union following the Civil War and the 150th anniversary year of the Grand Army of the Republic. Nearly 100 in attendance plus all of us. 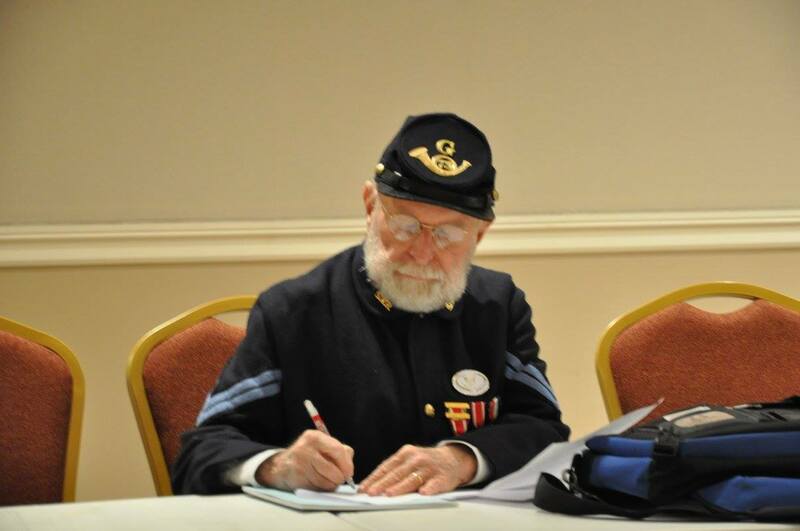 23 July 2016: Ceremonies in London, United Kingdom to dedicate a headstone for Ensign John Davis, civil war veteran and Medal of Honor receipient, and to charter the first SUVCW international camp, the Ensign John Davis Camp No. 10. We are very proud to be the “mother camp” to this camp and several of our members have chosen to be dual members and charter members with the new camp in London. 12 July 2016: Camp Mess at Calhoun’s on the Creek Restaurant in Maryville, TN. Last meeting prior to our big event – Readmission Day 2016. Polly Toole Auxiliary No. 17 was meeting at the same location. Had a special guest from Ireland, the Commander’s grandson, Junior Member Paddy Fitzsimons. 19 June 2016: Second quarterly meeting. Awarded a commendation to Junior Vice Commander and Graves Registration Officer Richard Holmes for his hard work in finding unmarked graves of Union veterans and in repairing damaged headstones of Union veterans in Blount and Monroe counties. 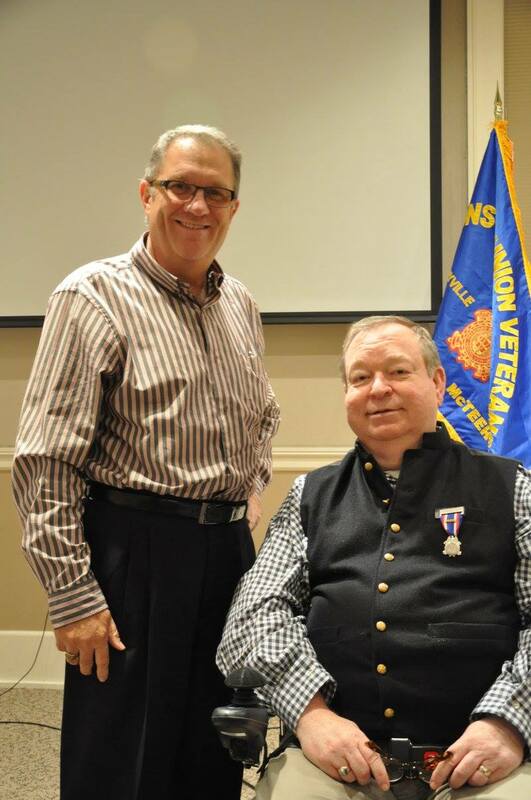 And we welcomed two new members to the SUVCW, George Shields and Charles Ogle. 14 June 2016: Flag Day at our monthly Camp Mess meeting. 30 May 2016: A stunning Memorial Day video from Hillsdale College shared by McTeer member J.R. Hacker of Athens. 30 May 2016: Memorial Day at Knoxville National Cemetery. We joined with the Lucinda Heatherly Tent of the DUVCW and the 79th New York Highlander Re-enactors to honor the fallen heroes of our past. 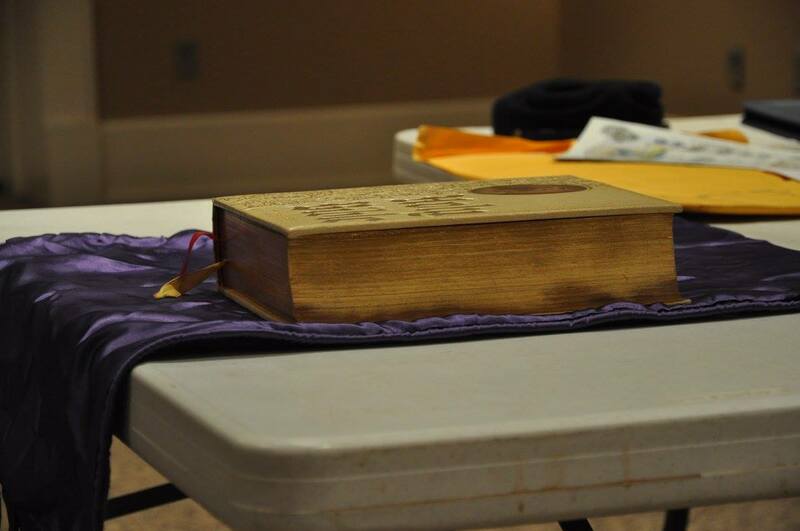 21 May 2016: On Saturday, May 21st, the Major William A. McTeer Camp No. 39 of the Sons of Union Veterans of the Civil War with David McReynolds, Camp Commander, presented a Headstone Dedication Service at the grave site of Private James Eugene Cupp of Company H, 2nd Tennessee Cavalry Volunteers, USA. 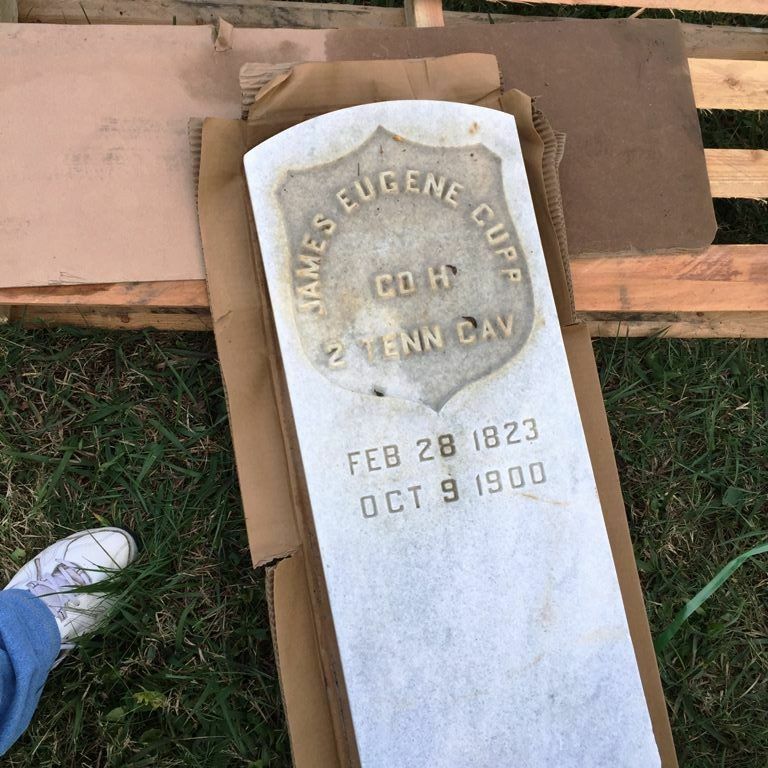 James Eugene Cupp was born February 28, 1823, the son of David Cupp and Catherine Niemon. He had blue eyes and dark hair and as an adult, he stood 5 feet 11 inches tall. On September 5, 1844, he married Margaret Everett and together they had eight children. Cupp fought in the Civil War in the Union Army’s 2nd Tennessee Cavalry. He mustered in on October 10, 1862 at the age of 39 for a term of three years. The 2nd Cavalry was heavily involved in the Battle of Stones River, the Battle of Chickamauga, the Battle of Okolona, and the Battle of Nashville. The unit mustered out July 6, 1865. As was the case with most units during the war, many more men died of disease than of wounds suffered in battle. The ceremony was the culmination of work started last year by Camp Junior Vice Commander and Graves Registration Officer Richard Holmes along with several fellow Delta Airlines employees, Rebekah Thompson (3rd great granddaughter of James Cupp), William Busser, and Bronwyn Henley to obtain a new headstone to mark the grave. 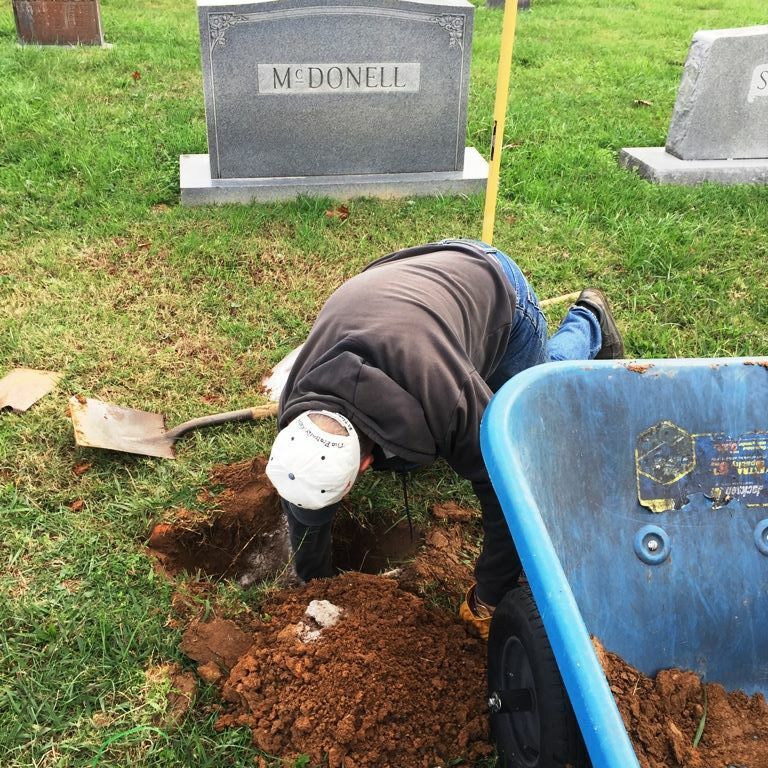 On November 6, 2015, William Busser and Richard Holmes set the new headstone for Private Cupp in the cemetery at Pleasant Hill United Methodist Church in Maryville. 14 May 2016: Had the honor to attend the meeting of the Lucinda Heatherly Tent No. 3 of the Daughters of Union Veterans of the Civil War at the East Tennessee Historical Society in Knoxville on Saturday. The special guest was the National President of the DUVCW. In the picture below are (from L to R) Cherel Henderson of the ETHS; Sue Liddie of the National DUVCW; Cindy McReynolds, President of Polly Toole Auxiliary No. 17 SUVCW; David McReynolds, McTeer Camp No. 39 Commander; Michael Downs, Department of Tennessee Commander; Sally Redinger, National President of the DUVCW; and Becky Jolly, President of the Heatherly Tent in Knoxville. Wonderful meeting with good attendance. Great job! 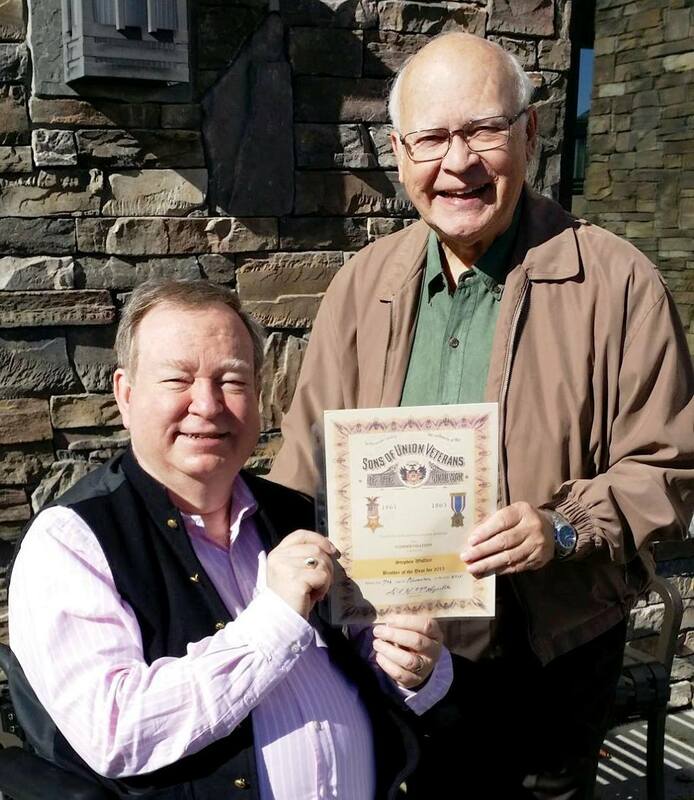 12 May 2016: JVC and Graves Registration Officer Richard Holmes presenting a symbol of the camp’s appreciation to Neil Kyker of Kyker Funeral Home who has helped research the history behind some of the almost lost Union veterans of Monroe County. 10 May 2016: Camp Mess at Calhoun’s on the Creek Restaurant in Maryville. Had 10 members in attendance, lots of good conversation, good food and we conducted some serious business getting ready for a big headstone re-dedication on 21 May and Memorial Day on 30 May. 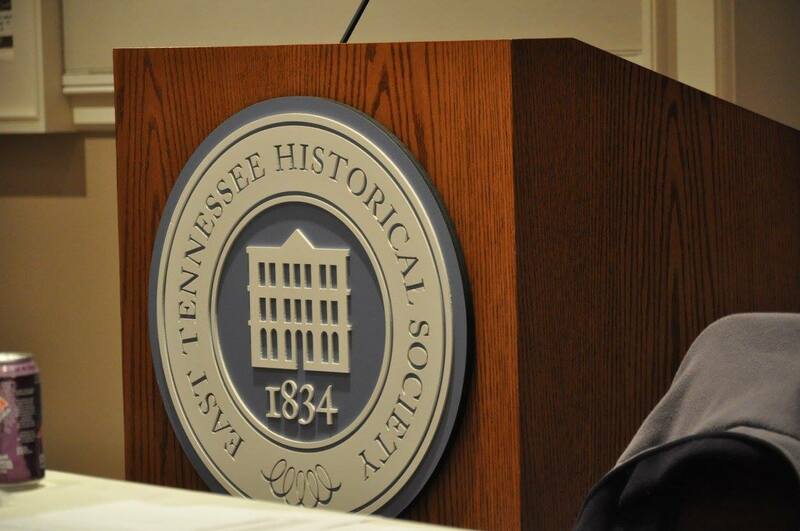 3 May 2015: East Tennessee History Society Annual Meeting. The camp was honored to have received an Award of Distinction for its work to preserve the region’s Civil War history and for its efforts to put on the re-dedication of the Sultana Memorial last year for the 150th anniversary of its sinking and as the concluding event of Tennessee’s Signature Sesquicentennial Event, the Blue & Gray Reunion & Freedom Jubilee. Camp Commander David McReynolds also received an Award of Distinction for his many years working to preserve the region’s Civil War history and Associate Member Norman Shaw received a Community History Award for his many years of service including founding the Knoxville Civil War Roundtable and the Sultana Descendants Association. 26 April 2016: Junior ROTC Award Banquets. A great big congratulations to the two cadets chosen to receive the SUVCW Junior ROTC medal and certificate from our camp. 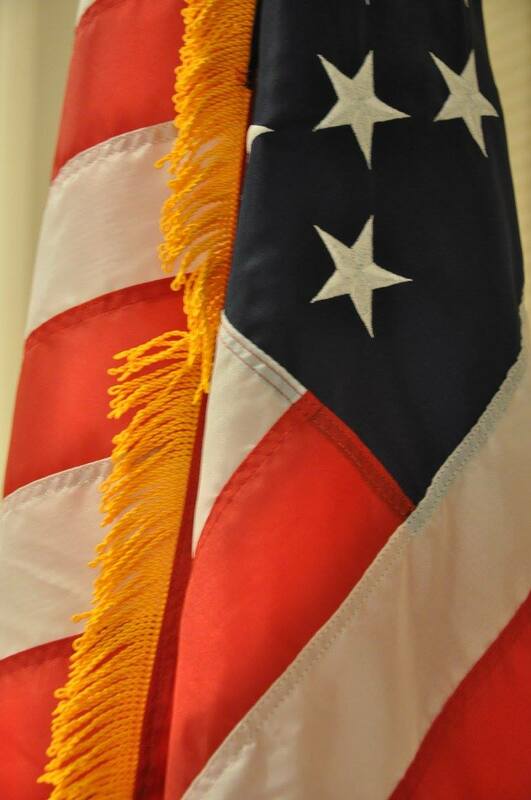 We admire their patriotism, academic excellence and leadership qualities. The award winners are Cadet Casey Lawson of William Blount High School and Cadet Sydney Webb of Heritage High School. 23 April 2016: Sultana Group Photo. 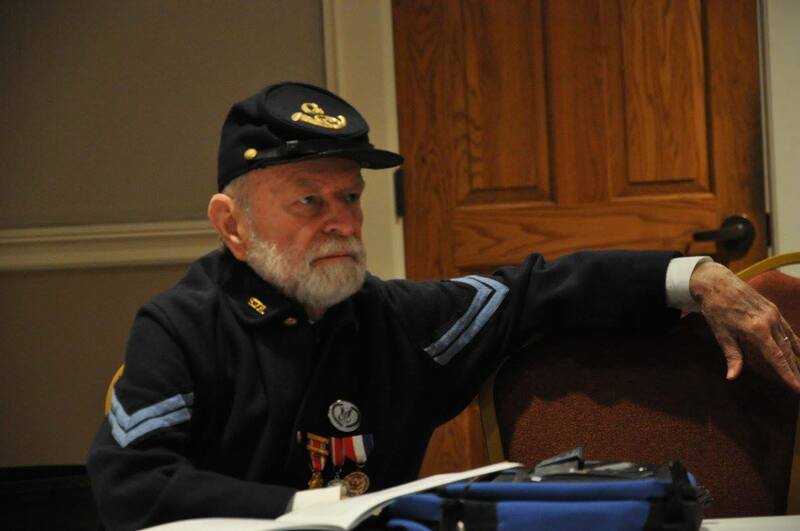 With Camp Members, Boy Scouts, 79th New York Infantry Company A Highlanders, and the Sultana Descendants, we had about 120 attending. We tried to capture as many as we could, but there were 15 to 20 trying to take this group picture. Once again, two years in a row, a great event for our camp and the opportunity to continue to honor the memory of those who died on the Sultana that tragic day. 23 April 2016: As a portion of the Sultana Descendants Association’s Annual Reunion, we participated in the 100th anniversary of the Sultana Monument by providing a rededication ceremony in the traditions of the Grand Army of the Republic. 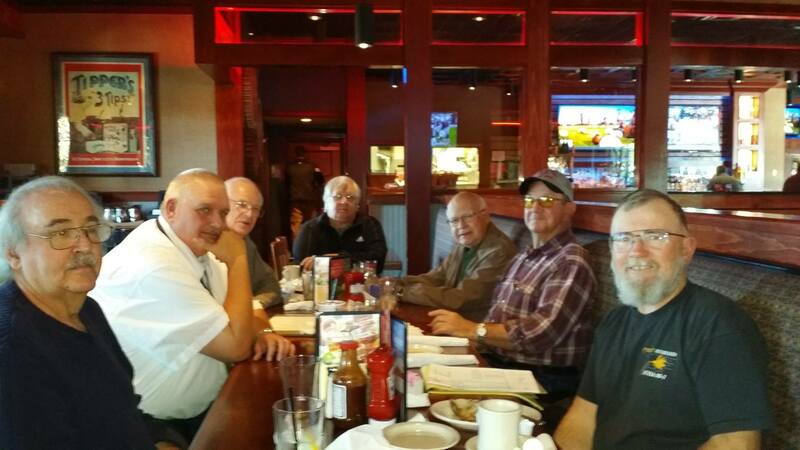 We had guests from many states including SUVCW brothers from Michigan and Ohio! Counting boy scouts, reenactors and our own Camp members, there were about 150 in attendance. Like last year, this was a wonderful, moving event remembering those who lost their lives on the Sultana – the worst maritime tragedy in American history! 16 April 2016: Thompson-Brown House Living History Day. We had a great time supporting this important event. We’ve been there every year but one of our Camp’s existence. 10 April 2016: JVC and Graves Registration Officer Richard Holmes and members of his family installed a military marker for Richardson Mills, Company H, 3rd Tennessee Mounted Infantry, at Little Toqua Cemetery in Ballplay, Tennessee. Joining him were direct descendants Pryor Watson, Polly Toole Auxiliary Member Kelly Holmes and McTeer Junior Member Carter Holmes. Huzzah! 26 March 2016: We met at the Mount Olive Baptist Church Cemetery to clean the Sultana Memorial area in preparation for our dedication ceremony as part of the 100th anniversary of the monument sponsored by the Sultana Descendents Association. 20 March 2016: We held our first quarterly meeting at the East Tennessee History Center and Museum in downtown Knoxville, TN. We had a great meeting as we continue to discuss important upcoming events for the year. We had guests from the Polly Toole Auxiliary and a prospective junior member with his aunt, a member of the local DUVCW tent. We even had a member of the UDC (United Daughters of the Confederacy) who were meeting next door drop by and share a wonderful book that included reunion pictures of the 13th Tennessee Cavalry USA! 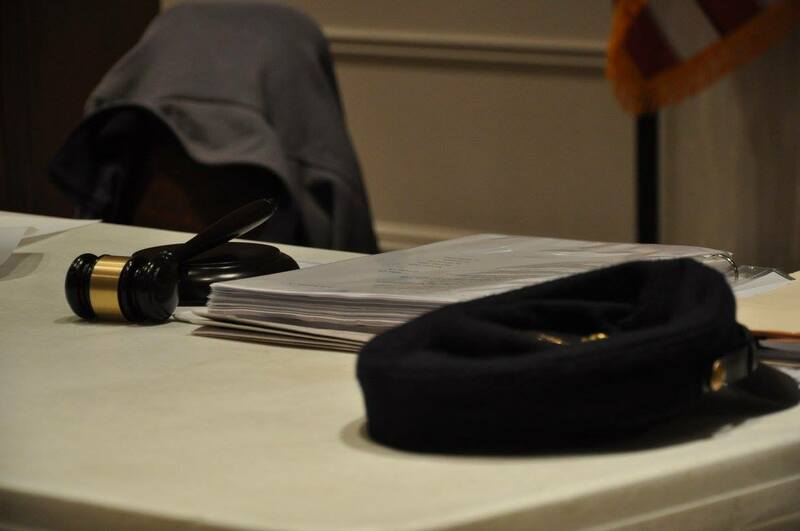 20 February 2016: Video of the 21st Annual Encampment of the Department of Tennessee at the Tennessee Genealogical Society in Germantown, TN. Please watch if you have a chance. Our second Camp Mess meeting was attended by (L – R): JVC Richard Holmes; Secretary-Treasurer Doug Fidler, PDC; DC Mike Downs, PCC; Roy Gamble; George Lane, PCC; CC David McReynolds; and A. B. McTeer. We didn’t let a few snowflakes falling to get in the way of a good meeting that was full of ideas and great social interaction. McTeer members George Lane and David McReynolds along with Polly Toole President Cindy McReynolds attending the Robert Burns Dinner at the Crowne Plaza Hotel in Knoxville sponsored by the Scottish Society of Knoxville. Our first Camp Mess meeting of 2016 was attended by 8 members of the camp. We had some sickness and other business that kept others away. We have a busy year planned and talked about a number of our initiatives. On New Year’s Eve, Junior Vice Commander and Graves Registration Officer Richard Holmes went to Old Sweetwater Baptist Church Cemetery with his son, Junior Member Carter Holmes, and family members Pryor Watson, Mark Watson, Ryan Watson, Wayne Kile, Kyle Noe, and Janet Watson to reset the headstone of Private Joel Byrum! On December 12, 2015, at the Knoxville National Military Cemetery, over 700 wreaths were placed on Veterans grave sites. 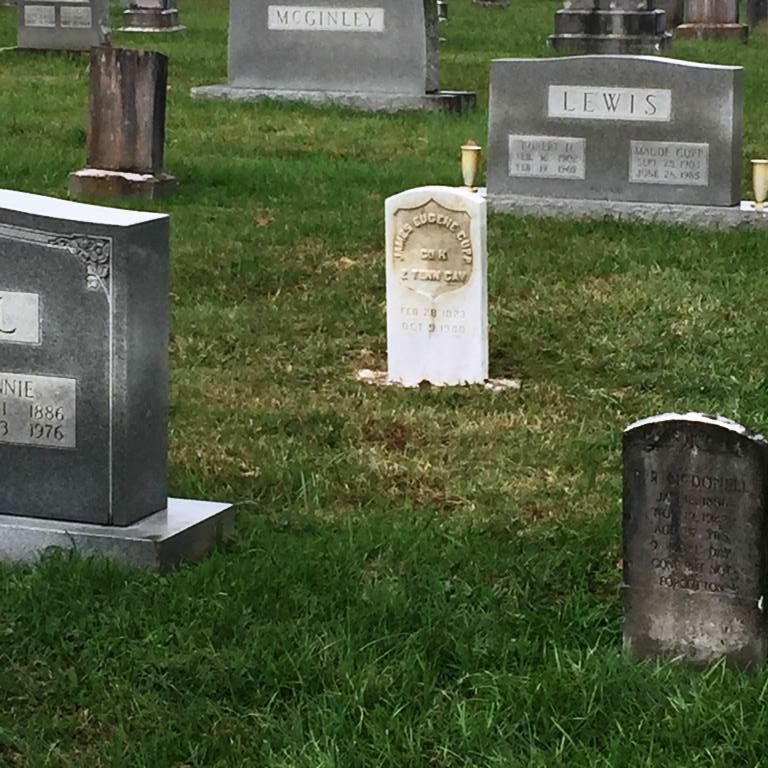 General Ambrose Burnside ordered the creation of the cemetery when Union forces were regaining control of East Tennessee and it is one of the oldest burial grounds, dedicated only for military veterans, in the United States. There are over 9000 graves in the cemetery with no room for expansion. Several organizations took part in the celebration including the Civil Air Patrol, the Knoxville Fire Department, the Sons of Union Veterans of the Civil War and others. Channel WATE-TV interviewed several organizers of the program and clips were later shown on their 6 PM news broadcast. Captain Scott Alley (also a member of the McTeer Camp) from the Civil Air Patrol presented a wreath at the grave site of his great grand uncle Major Mince; the Major was slain at the Battle of Fort Sanders during the siege of Knoxville. It was a very warm 70+ degree day in Maryville for our first Christmas Parade as a Camp. Our little “float” was very well received by the crowd as we received cheers and applause for our “Red, White and Blue Christmas”. We even had two people approach our float and express interest in joining our camp! Remembrance Day in Gettysburg is truly special. Camp Commander David McReynolds and his wife Cindy proudly participated in Saturday’s parade and as the picture below attests, proudly waved our camp guidon with our streamers attached. On the way to Gettysburg, we stopped in Washington, D.C. for a visit with Senator Lamar Alexander. We shared with him the activities of our camp as he shared his congratulations to us for our honor of earning the Abraham Lincoln Commander-in-Chief’s Award for 2015. He was particularly interested in the story of the Sultana tragedy and the number of Tennesseans who were onboard that night near Memphis. He urged us to continue our good work and to continue to preserve history. Despite having our Annual Encampment on Saturday, 7 November 2015, the brothers had voted in October to have our Camp Mess in November. We had a great time planning our upcoming Christmas Parade participation, Wreaths Across America and discussing some business items that we will discuss further next year. We presented Steve Wallace with the 2015 Brother of the Year Award in what was a moving experience for Steve and the rest of us. Steve is a charter member of the McTeer Camp and has been one of those really dependable members over the years – there when you need him! We had 8 brothers in attendance, 4 who couldn’t make it Saturday. So, 14 brothers participated in the two meetings over the space of 4 days. 8 November 2015: placement of marker for pvt. 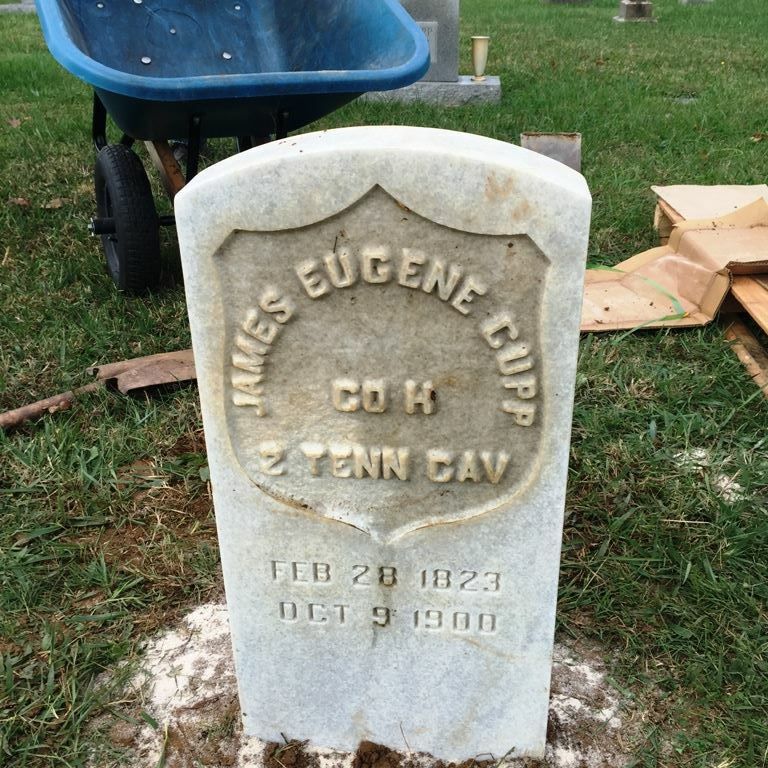 james Eugene cupp, co. h, 2nd Tennessee cav., usa. At Pleasant Hill Methodist Church Cemetery in Maryville, TN, Brother Richard holmes and his delta airlines co-worker William Busser placed the marker for Pvt. Eugene Cupp. The Camp will do a dedication ritual for this marker on 21 May 2016. 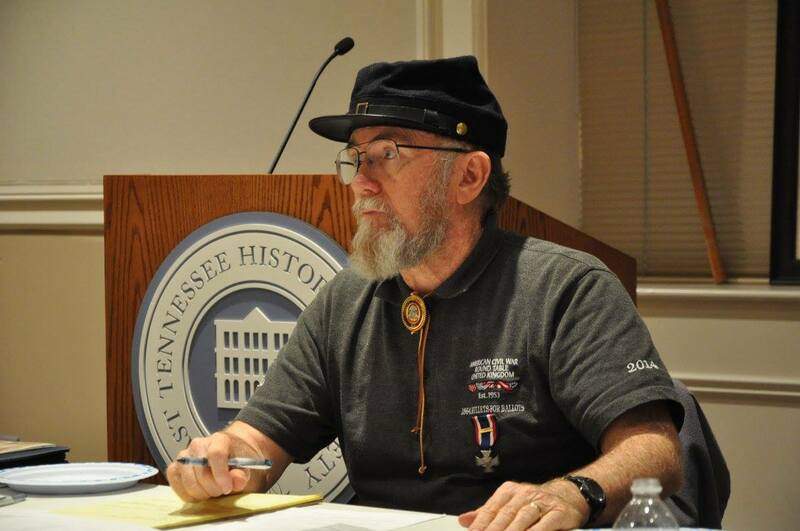 We met for a great educational presentation by Brother Tim Massey at the East Tennessee History Center and Museum in Knoxville with the local tent of the DUVCW and our own Polly Toole Auxiliary. After the educational presentation, we broke up and conducted our separate business meetings. For a cold and rainy home football game Saturday, I thought we had a pretty good turnout. For our camp, 10 brothers were present – a low number compared to some of our events in 2015, but a solid number of local participants. 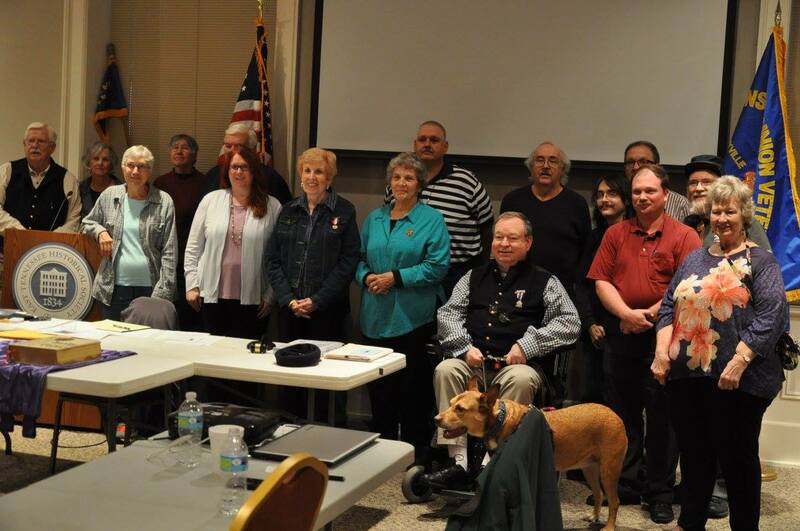 We had a good business meeting and conducted the election of officers for 2016. Lots of fraternity within our Camp and good feelings with our Sister organizations. The DUVCW tent provided us with some very nice refreshments for the break between the education and our business meetings!